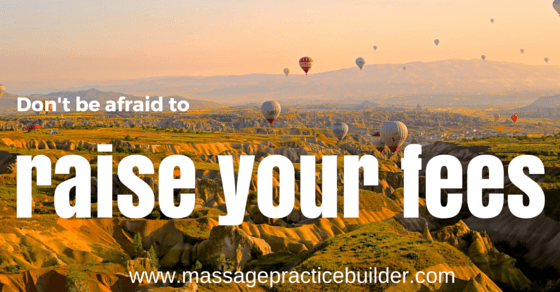 Raising Your Massage Fees is often a difficult part of being in business for yourself as a massage therapist. On one hand you want to be able to provide affordable massages to people and on the other hand, you need to make a living to stay in business so that you can continue to serve your clients. Knowing when to raise your rates and learning how to raise them to avoid losing income and clients is a process. You have to do what is right for you at whatever stage you are in. The best time to raise your rates is when your schedule is full and even better when it is overflowing! If you find yourself adding more hours to your day and skipping lunch or staying late to get another client in, it may be time to raise your rates. The problem with raising your rates is that you also risk losing clients. I know from experience, that it can cause stress for your business just wondering if people will quit seeing you and then actually having them do that. Through the years, I know I have lost a few good regular clients when I raised my rates. At the same time, I also got new clients who would pay the new rate without batting an eye. While losing a client may be painful both emotionally and financially, it is also possible that they were not your ideal client and if they really balk at having to pay you $5 or $10 more an hour, they may not really value what you do. Especially if these same people are the ones who are living in a penthouse apartment and driving a Bentley or you know they go to the casino a few times a month! Yes there are people who really need massage and really can’t afford the extra fee, but is that your responsibility? When you make more, you can also give more to charities and foundations that fund health clinics that provide free or low income massage services or you can start your own service that does that. So the first scary step is deciding if and when you want to raise your rates. The best time is what is best for you. In general, raising your rates at the first of the year may seem like too much for people after a hefty spending spree for Christmas but they might have also gotten money for Christmas. There are ways to lighten the stress of the extra fees and help people gradually get used to the idea. Then you need to decide how much you will raise them. Usually a $5-$10 raise won’t matter much. If you raise your rates every year or every few years, you can raise them just little by little. If you raise them more than $10, you risk losing more clients. If you raise your rates over $20, you are really making a statement and risk losing more clients. So it is really best to raise them every year to avoid the shock of a big raise. Many massage therapists often let the fear of what the economy is doing interfere with them being able to raise their rates. If you have a respectable following and offer a clear value and understand that the economy is doing what it does anyways and that there are always people that have money to pay for massage and you provide the best quality in everything you do, you will still be able to get clients to pay the higher fee. In any economy!!!! My Story: When I first started out in 1989, I took over a practice from a guy who was charging way below the regular price. I can’t remember exactly, but it was like $25 an hour when the going rate back then was probably $50-$55 an hour. I immediately raised them to the going rate and the clientele changed. There were people willing to pay more. I also later consulted with an accountant the next time I was going to raise my rates and he said don’t do it because you will lose too many people. I of course did raise them and found that I actually got more clients then every time I raised my rates. There is a certain mentality with people that they think that they are getting more when they pay more – like shopping at Nordstroms! People also really need to feel like they are getting a return on their investment. They need to be taught the real value of a massage. What does massage really do? Relieves pain and stress – sure – but the really deep core benefit goes way beyond that. What people get from massage is feeling relief, thinking clearer, being more aware of themselves, feeling more compassionate toward their partners and co-workers. Your message can be conveyed during your massage sessions as you help keep people focused on their body and keep them away from their problems. I can’t tell you the number of clients I have seen through the years who have gone on to change jobs, change partners, make big moves in their careers and lives and I believe that getting regular massage was part of what gave them the strength and desire to do that. When people feel better and are relieved of their aches and pains or have their stress managed better, people think clearer, feel lighter and more balanced. Stop Explaining and Just do it! Nope, you don’t have to explain anything. If you feel a need to explain more, tell them about the value of massage – the real value. How can you put a price on relief from pain, stress etc.? After you make the first scary decision that you want to raise your rates, then there is the scary part of telling people. I also learned early in my career, that people also usually expect you to raise your rates and they usually will say something like “It is about time!” People who really value massage and your work will say things like that. They won’t care and will gladly pay you more! The interesting this is why is this so scary to tell your clients I am worth more and need to make more? The scariest part is the chance you will lose clients and income. Sometimes it will actually be a relief to lose clients if you raise your rates when you are really busy. It can help weed out the serious clients and also the clients that really are draining to you and your business. When those kinds of people leave your business, you will have more energy to do what you do best – doing massage on people who really appreciate it and take it seriously. Set a specific date for the price change. Tell them a few months ahead of time so that they can plan. If you have an email list, you can send a notice out. Post it on your website. Give people an offer of being able to get the old prices in a package deal. If they buy X amount of sessions, they can get it at the old price. Have enough in savings to cover a few that do leave. Focus on your marketing so that you can get new people in if some of the current clients do leave. Or just forget all of that and raise them! Does the dentist, grocery store and gas station do that? Get the support you need in raising your rates. The process of Supervision can really help you get through your fears and build self confidence. others may think you must be offering something special for the extra charge. If you charge less than the going rate, some clients will be attracted to the bargain but may not value the work as much…. 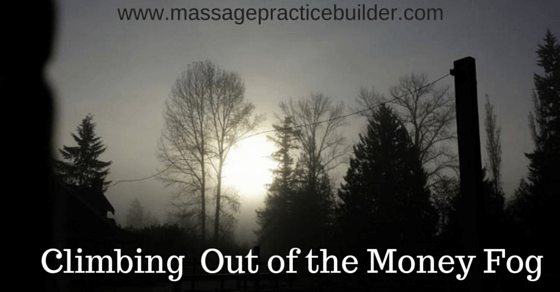 It is time – non-tech savvy massage therapists to get on board! Technology can save you so much time and energy. Don’t be afraid! If you feel like you are overwhelmed by it all, just take one thing at a time. There is a bit of a learning curve that will take time but the advantages far outweigh the benefits. The first thing you will want to think about is online scheduling. I was resistant to online scheduling for so long I couldn’t believe how much time it saved me. I never have to call anyone and wait for return phone calls to fill my schedule. It makes it so convenient for people to see your availability and schedule anytime. Many companies have open work environments making privacy an issue meaning people can’t openly call to make their appointments because the whole office will hear them! Here is more on how to choose an online scheduling system. If you haven’t gotten on this one yet – you don’t know what you are missing. Higher tips will outweigh the low cost of processing fees. You don’t have to go to the bank to deposit checks. The money is deposited directly into your checking account the next day usually (depending on time of transactions for that day). Squareup.com is the most popular. You can also get $1000 worth of processing fees free when you sign up through this link. You can also get an additional $1000 free every time you refer another person to sign up for a new account! You can refer as many people as you want! Google is in the business of finding the best information for their searchers. They want the information to be the most recent, the most informative while also providing the best user experience (fast loading times, mobile websites, easy to read and navigate.) When people search for ‘massage your city’ and they find your website – they are already your ideal client – they already value massage and are looking for massage. Your website needs to be on the first page of Google result for the best chances of getting new clients. It will also need to make people want to click on the listing. The best way to do that is to learn everything you can about building websites. You can do that with SBI! It isn’t just about hosting – it is about building an online business. They will also teach you how to make money with your website. Learn more about Massage Websites. www.mailchimp.com – It is free! Keeping in touch with you clients is really a challenge these days with so many ways and social media taking over things, it can be difficult to get your message out to clients. You can use social media but that is hit or miss as to who sees the posts. Email newsletters are often left unread also. The key is once again writing engaging content and sending out your newsletter to keep in touch. Online Scheduling Software for Massage Therapists is an important tool for your massage business. With online scheduling it frees up your time and lets clients book appointments directly from your website. There are so many different systems that is really difficult to choose. You just have to start testing them one by one to see which one you like the best. You have to know what it is that you want it to do and figuring out what you want is often a matter of seeing what they can do. Do you want the ability to take credit cards to secure the appointment and reduce/eliminate no shows? This will also create another barrier for clients in making appointments so it is a toss up as to whether to use it or not. Do you have a computer at the office (I don’t!) that you can use for scheduling or will you be using your phone or tablet to set up the system and make all of the appointment/schedule changes you need to make? If you are using only your smartphone, then the system really needs to have a mobile website or app for you to use. Other systems are just too cumbersome to use. How do you want to get notices of appointments that are made and canceled? Text and email are your options. Which one will work best? Will you be using this for all your regular clients too? You will have to set up each client in the system. How much are you willing to pay? The prices vary from free to I have seen like $79 a month but that probably includes more than just a booking system and there are free ones too. Will you need a system to screen clients and ask them questions before or when they book? Is there information you need to know, like I need to know what insurance they have if they have it and if they have their prescription. Many insurance companies here will tell people that they don’t need a prescription and I won’t take anyone that doesn’t have one so with the contradictory information, some people just think it is OK because the insurance company said it was OK.
Will you be able to easily update your schedule from wherever you are – like to take yourself off the schedule or book a client who has called or that you run into in person somewhere? Again a mobile website or app is necessary. Is there just you or do you need to have it so employees/Independent Contractors can access the scheduling? How many people will need to have their own schedule? How easy is it to reach support? Some only have email support and not live, phone support. So I would recommend that you start with the companies that your association have networked with that provide you with a member discount. For ABMP members it is FullSlate. AMTA offers discounts with Genbook. Also most companies will let you have a free trial which is good for you to see how it really works and if it will work for you. Look at the actual process that people go through to make appointments – is it easy to follow and figure out how to make appointments? Some are much better than others. How many clicks does it take to make an actual appointment? So after a few trials so far, I am settling into FullSlate – mainly because it was just the first one that worked with my phone. Schedulicity.com , www.appointment-plus.com , www.bookfresh.com, www.mindbodyonline.com, www.bodyworkbuddy.com. Some other things that I thought was that everyone would just start using this and it would make it so I wouldn’t be answering and returning phone calls. That is not true so far. People are still calling. I am not sure if they don’t clearly see the button for booking even though I have it in about 3 different places or what it is. I had people calling on Sunday when I don’t work and I have my hours clearly stated and set up accordingly on the scheduling system. People will still call! and email! I am not sure how much it is really cutting down my work time either. I have to always remember to check the thing and also if I have an opening that doesn’t get filled, I have to remember to block it out. I usually will leave early or go run errands when I don’t have an appointment. www.spa-booker.com Starts at $25.00/ month No Yes ?? One of the biggest issues in the massage profession is that many employers of massage therapists will incorrectly classify their workers as independent contractors when they really should be employees. It is important that you understand the difference between the two and know how to use this in your favor when looking for a job in massage. Use this information to get you started in researching this information to apply to your own needs – whether you are looking for a job in massage or looking to hire employees/independent contractors. While this information has been put together after many hours of research, it does not constitute legal advice. Please consult an attorney and a tax accountant to make sure you have the correct classification for YOUR situation. First off there are Federal Requirements for Independent Contractors set up by the IRS and The Department of Labor. There are also State requirements which may be a little bit different than the Federal requirements making it even more confusing. The extent to which the work performed is an integral part of the employer’s business. If the work performed by a worker is integral to the employer’s business, it is more likely that the worker is economically dependent on the employer and less likely that the worker is in business for himself or herself. For example, work is integral to the employer’s business if it is a part of its production process or if it is a service that the employer is in business to provide. I don’t know of any massage or spa business where massage is not an integral part of the business. End of any discussion right there. The other 5 points in that fact sheet when applied to a massage business usually point to a massage therapist must be an employee. #2. Does the Worker’s Managerial Skill Affect the Worker’s Opportunity for Profit or Loss? Massage therapists usually depend on the employer to bring clients in for them to make money. #3 How does the Worker’s Business Investment Compare with the Employer’s Business Investments? The worker must share the risk of loss to be considered a true independent contractor. #5 Is the Relationship Between the Worker and Employer Permanent or Indefinite? A true IC position will have a beginning and end date. #6. What is the Nature and Degree of the Employer’s Control? 1.Instructions: If the person for whom the services are performed has the right to require compliance with instructions, this indicates employee status. 2.Training: Worker training (e.g., by requiring attendance at training sessions) indicates that the person for whom services are performed wants the services performed in a particular manner (which indicates employee status). 3. Integration: Integration of the worker’s services into the business operations of the person for whom services are performed is an indication of employee status. 4. Services rendered personally: If the services are required to be performed personally, this is an indication that the person for whom services are performed is interested in the methods used to accomplish the work (which indicates employee status). 5.Hiring, supervision, and paying assistants: If the person for whom services are performed hires, supervises or pays assistants, this generally indicates employee status. However, if the worker hires and supervises others under a contract pursuant to which the worker agrees to provide material and labor and is only responsible for the result, this indicates independent contractor status. 6. Continuing relationship: A continuing relationship between the worker and the person for whom the services are performed indicates employee status. 7. Set hours of work: The establishment of set hours for the worker indicates employee status. 8. Full time required: If the worker must devote substantially full time to the business of the person for whom services are performed, this indicates employee status. An independent contractor is free to work when and for whom he or she chooses. 9.Doing work on employer’s premises: If the work is performed on the premises of the person for whom the services are performed, this indicates employee status, especially if the work could be done elsewhere. 10. Order or sequence test: If a worker must perform services in the order or sequence set by the person for whom services are performed, that shows the worker is not free to follow his or her own pattern of work, and indicates employee status. 11. Oral or written reports: A requirement that the worker submit regular reports indicates employee status. 12.Payment by the hour, week, or month: Payment by the hour, week, or month generally points to employment status; payment by the job or a commission indicates independent contractor status. 13. Payment of business and/or traveling expenses. If the person for whom the services are performed pays expenses, this indicates employee status. An employer, to control expenses, generally retains the right to direct the worker. 14. Furnishing tools and materials:The provision of significant tools and materials to the worker indicates employee status. 15. Significant investment: Investment in facilities used by the worker indicates independent contractor status. 16. Realization of profit or loss: A worker who can realize a profit or suffer a loss as a result of the services (in addition to profit or loss ordinarily realized by employees) is generally an independent contractor. 17. Working for more than one firm at a time: If a worker performs more than deminimis services for multiple firms at the same time, that generally indicates independent contractor status. 18. Making service available to the general public: If a worker makes his or her services available to the public on a regular and consistent basis, that indicates independent contractor status. 19. Right to discharge: The right to discharge a worker is a factor indicating that the worker is an employee. 20. Right to terminate: If a worker has the right to terminate the relationship with the person for whom services are performed at any time he or she wishes without incurring liability, that indicates employee status. On top of the Department of Labor and the IRS you will also have state officials after you if have hired misclassified employees. They will want their back unemployment insurance fees and workers compensation fees paid back. So who is an IC? Personally, I think that they will be really rare instances of someone actually being an IC in the massage profession. I actually can’t even think of a situation that would qualify. Independent Contractors will have their own business and will set their own fees among other things. They should have multiple businesses that they work for and not work at one place all of the time. They are their own boss in every way and set their fees and send invoices to the business for payment of services. They would provide all of the equipment – tables, lotions/oils, pillows etc. They would do their own marketing and not depend on the owner for business. For the most part from what I understand whenever you are a subcontractor it is best to be paid a flat rate for each massage that you do. When you are paid a percentage of each massage the relationship with the employer becomes confusing to say the least. The employer is responsible for knowing how to hire you as an independent contractor. If they are trying to pay you a percentage you might want to bring the laws to their attention. There are many reasons why an employer would try to pay you a percentage with the main reason usually about making money for themselves. While an employer deserves to be paid for the use of the room and providing clients there should also be a limit. It will also depend on what is provided by the employer. Massage therapists may feel like an IC position is a better way to go but there are so many misclassified IC positions out there with massage therapists who are struggling to make ends meet. They are being taken advantage of for all their hard work and time. You deserve to be paid and paid well for what you do. What this means for employers is that you will have to be sure you have the resources to hire massage therapists and be able to get them enough clients so that you can make enough to pay them fairly. No more taking advantage of massage therapists and not paying them what they are worth. For massage therapists starting out, having an IC position was often an easier way to start as you didn’t have to pay for space when you were not using it. This just means that you will need to work harder to ensure you have clients if/when you want to open your own business. As an employee you should get benefits such as vacation and sick time and see regular increases in pay as your skills and experience progress. Thanks to Angela Lind and Della Szeszol Melville in the many Facebook forums for always taking time to explain this and gathering the information presented here. Be sure to read as many articles and resources as you can about determining your status. Here is a collection of them that I have found to provide solid information but again I am not an attorney! I highly recommend these books and resources!